You’re dying to go to Universal Orlando Resort but not sure if there’s enough there to interest your toddler? 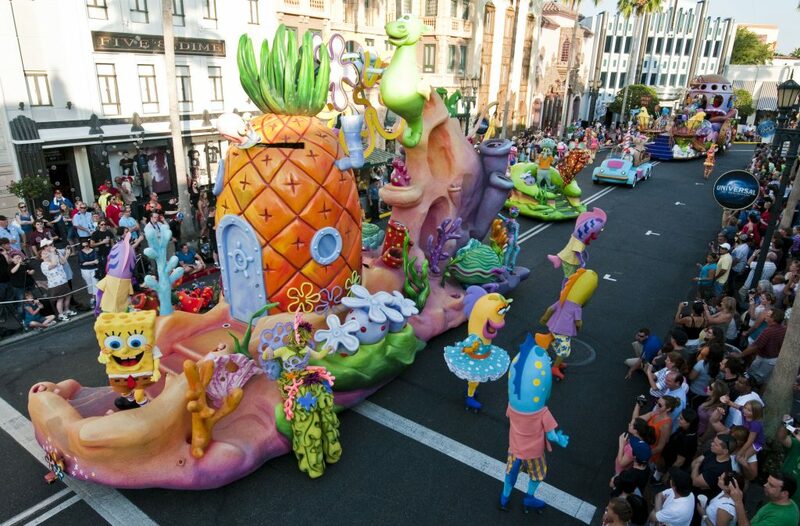 Or have a trip to Universal Orlando already planned and want some ideas for making it awesome for the whole family? Traveling with toddlers to Universal Orlando Resort is not just doable–it’s a TON of fun! Really. All it takes is a little bit of planning. Use these tips to set your family up for vacation success! We’re excited to partner with Universal Orlando Resort to share these tips with your family. Thank you UOR for providing media tickets and rates for our research trip! Universal Orlando Resort is a huge family resort. 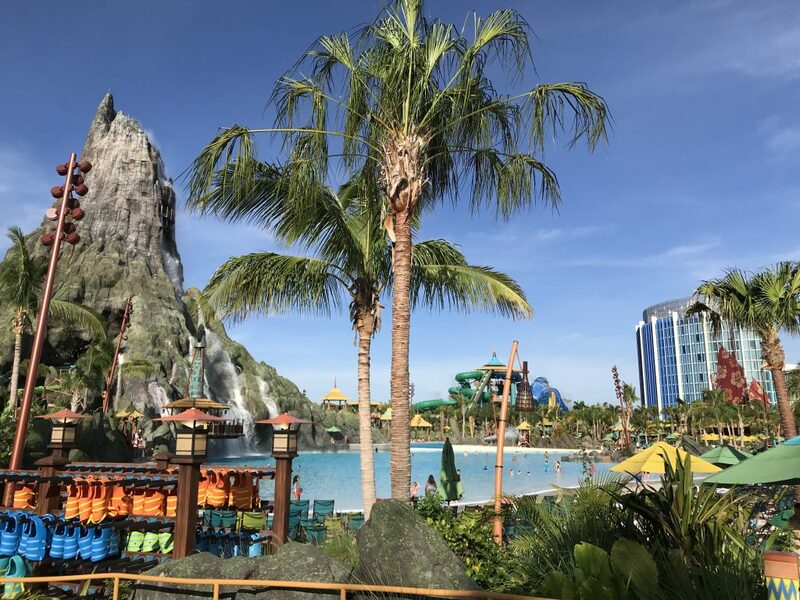 It includes the theme parks Universal Studios, Islands of Adventure, Volcano Bay as well as City Walk and six hotels. So many options and choices means there is something for everyone even the youngest family members! When booking your trip you want to take into account your family’s preferences and budget first and foremost. Read through all of our tips and see which ones resonate with you. If having more space for sleeping and playing is important to you then Cabana Bay is a great choice! The colorful retro decor and fun amenities make it perfect for all ages. You can book a family suite and have all the space you need to enjoy your vacation. The family suites sleep up to 6 with two queen beds and a sleeper sofa. There is a partition between the space with the bedroom and the living room and kitchenette area to give you the space you need for both sleeping and relaxing. The mini refrigerator, microwave and sink in the kitchenette are perfect for storing the milk and snacks toddlers run on! If you have early risers you can easily eat breakfast in your room and be ready for fun at the parks on your schedule. To top it off on Friday nights you can meet your favorite characters from Universal Orlando Resort! dd to your phone or ipad. You’ll also want comfortable clothes for riding in the stroller or carrier. It is quite sunny down here in Florida so you’ll want to consider lightweight clothes that cover arms and legs and a sun hat. Many families even find dressing their kids in matching or bright colors makes it easier to keep track of them. This probably goes double for mobile toddlers! foam blades for safety. Noise cancelling headphones are great for the loudness of the parks or when kids are feeling overstimulated. Standing near those roller coasters can be overwhelming! This pair for toddlers always gets great reviews. 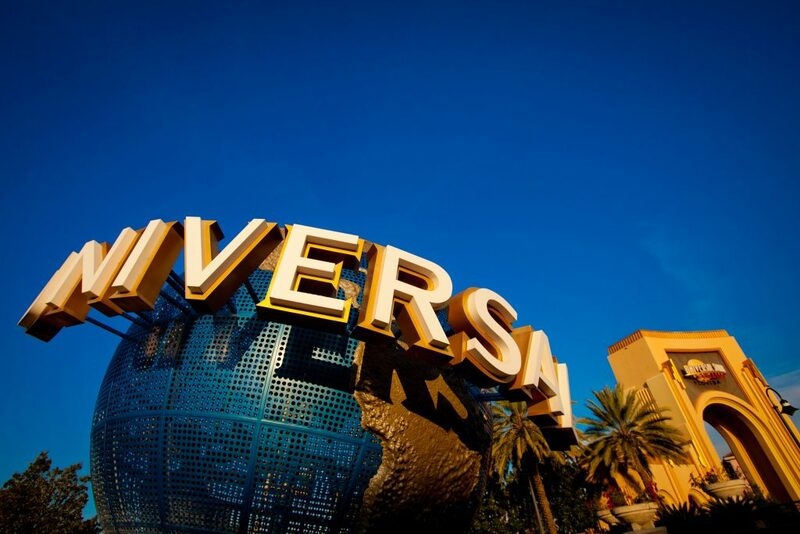 Universal Studios and Islands of Adventure are fun for the whole family! Here are a few quick tips to make your time in the parks stress-free. Stay on property for early admission to The Wizarding World of Harry Potter and Universal’s Volcano Bay one hour before the park opens. It’s a great way to have more time to explore with less crowds. Use the Universal Express Pass to skip the long lines. You will be surprised at how much time you save with the Express Pass. It is worth every penny when you are waiting in the hot sun with a toddler! Bring a stroller or baby carrier. Even if your toddler is walking the parks are too big and too busy for him or her to be walking the whole time. You can rent a stroller if you don’t have the space to pack one. The nice thing about having a stroller is adults can switch between rides without having to switch a baby carrier back and forth, but do whichever works best for your child. Go on big kid (and adult) rides while the toddler naps. Long busy days are bound to tire out the youngest at some point! Use this to your advantage and do any non-toddler friendly rides then. Explore the play areas and shops. Yes, UOR is full of cool rides but there are play areas all over that your toddler will love. Don’t eat at lunch time. Restaurants and food stands get busy during the lunch rush. Plan snacks to eat early or later to avoid waiting! Go back to the hotel in the middle of the day. Parks get busier as the day goes on so plan a pool or nap break in the afternoon to regroup. The newly designed Volcano Bay is impressive. You can tell how much thought and planning went into making it as enjoyable as possible for families of all ages. Here are some tips for maximizing enjoyment with little ones. Go early. If you are staying on property you can enter Volcano Bay up to an hour before it opens. 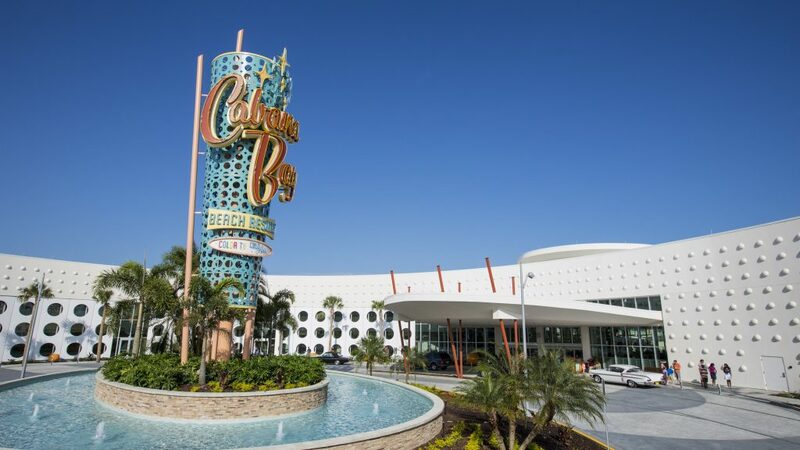 If you can staying a Cabana Bay it is just a short 5 minute walk away. and lets you know when it’s your turn and counts down to when you should return to go on the ride. It’s a great way to explore the park or swim with your toddler until your ride time. Plan to play in the sand. There are lots of shaded areas where kids can get out of the stroller and play while waiting for family members to be done with a ride. Pack swim diapers. Toddlers need either cloth or disposable swim diapers to play in the water areas and they are much pricier in the parks than at a store. Bring some with you to save money and time! Now that you have a plan it’s time to book your trip! Here are some links that may help. 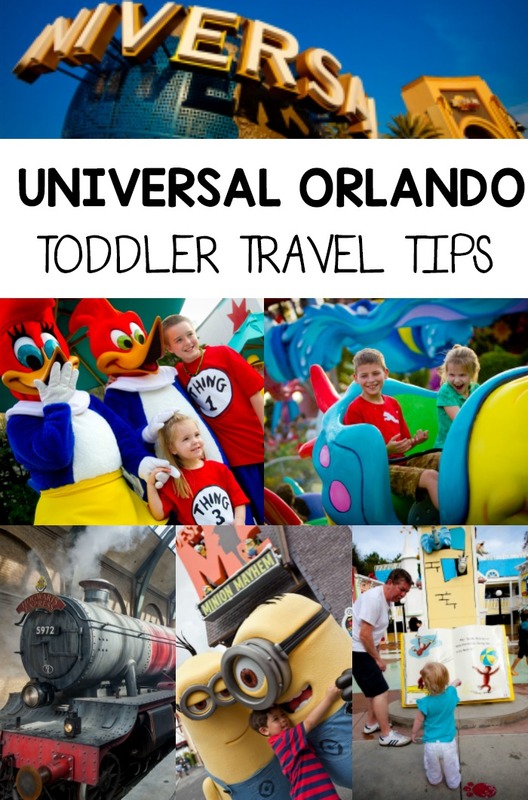 Have more tips for taking toddlers to Universal Orlando Resort? Share them in the comments!